Oven grilling is a great technique for cooking vegetables. During an interview for Culminate.com, self-proclaimed “veggie evangelist” Alanna Kellogg stated that roasting transforms vegetables by maximizing their natural sweetness and turning their exteriors into “golden bites of caramel.” Grill vegetables in the oven by using the broiler or by roasting them; both methods cook using dry heat and high temperatures. If you use the same basic technique, you can substitute just about any vegetable to complete your meal. Prepare the vegetables. Wash them, remove any brown spots or stems, and cut them into pieces that are about the same size so that they cook at the same rate. Put all the vegetables into a bowl, pour the olive oil over them, and toss them, making sure that all pieces are coated with the oil. 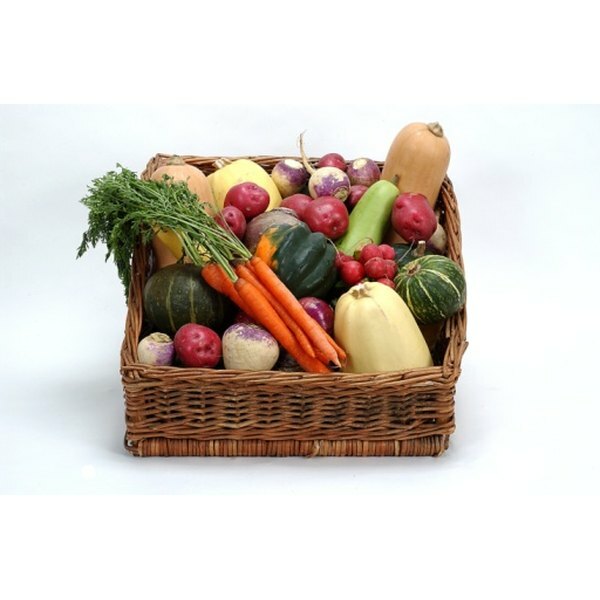 Place the vegetables in the baking dish or roasting pan. It’s important to spread them out evenly and to keep them in a single layer so they roast evenly. Sprinkle them with salt and pepper to taste. Roast in the oven for 35 to 45 minutes, or until they're cooked all the way through and are brown. About halfway through, turn the vegetables and begin checking them about every five minutes to be sure they don't overcook. 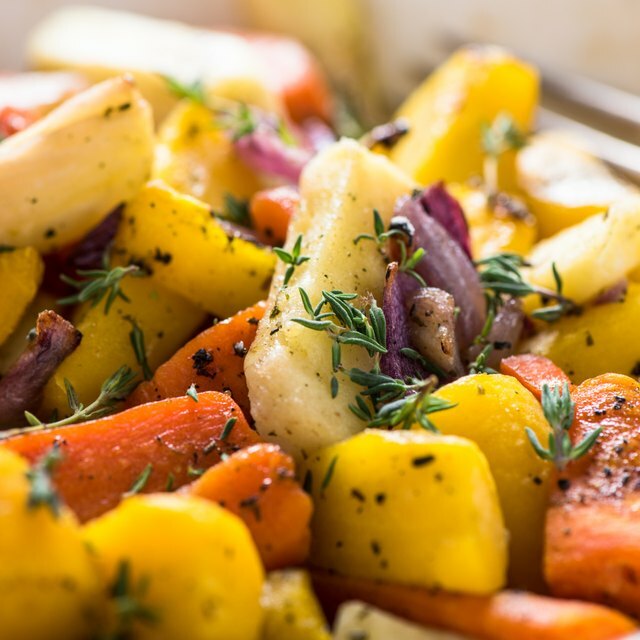 If some vegetables cook more quickly than others, simply remove them and let the rest continue roasting. You may add other seasonings to the olive oil, such as basil, oregano, parsley, rosemary or thyme. If desired, you may also drizzle a dressing, like a vinaigrette, over the cooked vegetables.